Dakin Matthews ... Marion Corey Jr. This is the last movie of George Roy Hill – the director of "The Sting". 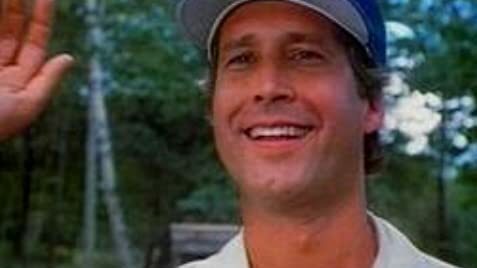 It's a good farewell for him , since this is a funny movie . 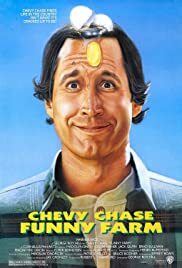 Chevy Chase is in good shape as the writer who struggles to write his first book. Madolyn Smith who plays his girlfriend is also good and very charming. It's one of those movies that will help you relax after a hard day . It reminds me a little of "Money pit" with Tom Hanks. It has the taste of typical 80's comedy - a lot is going on and the characters are colorful. I was either laughing , snickering or grinning through all the movie. I loved the jokes with the dogs. One can't stop , while the other can barely move . The small town has also few interesting characters : crazy postman , teenagers stealing road signs , weird old lady from antique shop. There is nice love/hate/love relationship between Chase and Smith . In the end the movie kinda becomes a little Christmas movie. Overall it's a very pleasant movie . I think it's underrated and deserves more attention. I give it 6/10.